It takes about 10 minutes by ferry to travel from Miyajimaguchi pier to the world cultural heritage site of Miyajima. Two ferry companies operate between Miyajimaguchi and Miyajima island; the JR ferry and the Miyajima Matsudai Kisen. 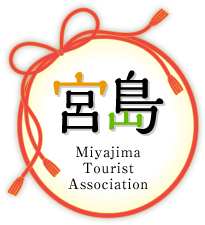 Copyright © 2017 Miyajima Tourist Association All Rights Reserved.